Select Materials LLC, a bulk landscaping materials firm, has announced today that it will begin accepting dumps of brush, leaves, logs, and yard waste drop off. FORT LUPTON, UNITED STATES, September 29, 2017 /EINPresswire.com/ — Select Materials LLC, a bulk landscaping materials firm, has announced today that it will begin accepting dumps of brush, leaves, logs, and yard waste drop off from local area residences and contractors. This effort is to help local property owners by providing a green outlet for their yard wastes. All the materials delivered will be ground up and composted over multiple months until a fresh and sustainable compost product has been produced. This service will be provided to all contractors and individuals in the front range area of Denver. All that is required is that the yard waste be free of trash and plastics. Deliveries will be accepted Monday through Friday from seven am till four pm each week. Select Materials a Colorado company, is a producer of topsoil, sand, compost, mulch, stone, and other various landscaping materials. Select Materials offers landscaping products to contractors at discounted rates. The firm specializes in the bulk wholesale delivery of these products by the truck load. Select Materials greatest attribute is its ability to produce custom products and topsoil blends that meet customers exact specifications. a new UN report shows mercury mining skyrocketing in the last 5 years. Moreover, much of that mercury is used in artisanal and small scale gold mining (ASGM), the largest source of global mercury pollution. Currently, countries do not have reliable information about trade in neighboring countries and within their own region. This problem is compounded where borders between countries are “porous,” and a significant portion of trade is informal or illegal. “Informal trade is difficult to track, and therefore does not appear in the official trade statistics,” said Elena Lymberidi-Settimo, Project Manager, Zero Mercury Campaign at the European Environmental Bureau. “Annual reporting is consistent with the requirements of other environmental conventions such as Basel and the Montreal Protocol,” said Leslie Adogame, Executive Director at Sustainable Research and Action for Environmental Development in Nigeria. An analysis of publicly available UN COMTRADE data over the period 2013-2016 (see below) reveals that the majority of global mercury flows from commodity trading centres (such as Hong Kong, Singapore and the UAE) to developing country regions (such as Africa and Latin America) where mercury use in ASGM is prolific in response to the largest global gold rush the world has ever seen. Global Apiculture Market is expected to grow at a CAGR of 2.7% during the period 2015 to 2022. Increasing inclination towards healthy food, growing demand for sustainable living and environmental issues are the factors favoring the market growth. However, protection of bees and maintenance of their health are the restraining factors for Apiculture market. Based on products, live bees segment is likely to acquire the highest market share during the forecast period due to their importance in pollination in the agricultural fields. In 2014, Food & beverages segment dominated the apiculture applications market by accounting for more than 80% of revenue in global Apiculture market. 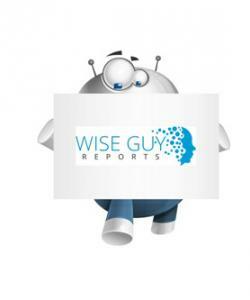 WiseGuyReports.com adds “Pumps Market in Water and WWT Sector 2017 Global Market Expected to Grow at CAGR 6.16 % and Forecast to 2021 ” reports to its Database. Pumps are important components used in all industries. They are used for moving or raising fluid from one point to another within the plant or from one plant to another. Pumps are generally classified into centrifugal and positive displacement pumps. Centrifugal pumps are widely used in industries owing to their simple design, low cost, and ease of operation. Positive displacement pumps are used in areas where fluid flow is constant or fluid viscosity is high. The chemical, food and beverage, mining, oil and gas, and water and wastewater treatment industries are major consumers of pumps. Pumps are one of the key components of the water and wastewater treatment sector and a major consumer of electricity. They are used in nearly every area in the wastewater treatment value chain. Technavio’s analysts forecast the global pumps market in water and wastewater treatment sector to grow at a CAGR of 6.16% during the period 2017-2021. The report covers the present scenario and the growth prospects of the global pumps market in water and wastewater treatment sector for 2017-2021. To calculate the market size, the report considers the new installations/shipments/sales/volume/value and installation services. Technavio's report, Global Pumps Market in Water and Wastewater Treatment Sector 2017-2021, has been prepared based on an in-depth market analysis with inputs from industry experts. The report covers the market landscape and its growth prospects over the coming years. The report also includes a discussion of the key vendors operating in this market. PUNE, INDIA, September 28, 2017 /EINPresswire.com/ — The report provides a comprehensive analysis of the Municipal Solid Waste Treatment Disposal industry market by types, applications, players and regions. This report also displays the production, Consumption, revenue, Gross margin, Cost, Gross, market share, CAGR, and Market influencing factors of the Municipal Solid Waste Treatment Disposal industry in USA, EU, China,India, Japan and other regions, and forecast to 2022, from 2017.